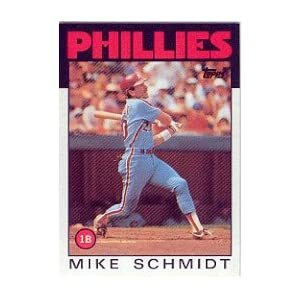 As previously noted, mining the 1986 Topps set for interesting tidbits hasn’t been overly fruitful — at least I pulled a Ripken All-star card, Clemens, Eddie Murray and Mike Schmidt recently. Anyway, the Terry Harper card above fits the “stringent” parameters that would allow for a Flip Side posting. I’m a huge baseball fan, in case you couldn’t tell, but I never knew Hammerin’ Hank Aaron had a brother – let alone one who made it to the majors. Heck the internet barely knows – if you search for “Tommie Aaron baseball ref”, Hank’s page comes up first. Tommie was signed by the, then, Milwaukee Braves as a free agent in 1962. That was eight years and 298 HRs into hank’s career. Tommie would do some decent things in the minors — posting a .285/.333/.439 slash line and stealing 33 bases in 45 tries. The majors would be a (sort of) different story, as Tommie would not succeed (.229/.292/.327) and steal just nine bases in 17 tries. For his career, Hank would steal 240 bases in 313 tries. He’d steal 28 bases in the 1968 season and never more than nine in a season during the rest of his career. Tommie would steal three bases in 1968 and never another for his career. Regardless of HR or SB totals, you have to think that one of the greatest memories the brothers have is of September 24, 1968. With Tommie on first and Hank on third, the duo would execute a flawless double steal. Hank, after scoring and wiping the dirt and dust from his uniform, must have looked into the sun across the diamond to see Tommie knocking the dirt and dust from his uniform and smiling back. Outside of back-to-back HRs, a double steal by brothers would be pretty special. I’ve never flown a model airplane – unless we are talking the paper variety in second grade religion class. I made some model airplanes, but mostly got bored when I had to glue all the little pieces together — logistics weren’t my thing. Still, I can think of two scenes that involve flying model airplanes and I imagine you can think of more. The first is in Rushmore when Max first meets Margaret — maybe I’ve seen that movie too much – but it’s a poignant and understated scene. The second is from the hilarious Modern family when Jay rams Phil in the face — good comedy includes violence — trust me. Anyway, I feel like Virgil would have enjoyed the later. He’s a stout dude (6’1 180) who caught for part of 11 seasons in the majors (mostly for the Philadelphia Phillies) and was a two-time all-star. Over a two-year span (from 1984-1985), he’d catch 272 games, post a respectable slash line (.254/.330/.433) and hit 37 HRs. In 1987 he hit 27 dingers for the Atlanta Braves. He would finish his career as a more productive player than his father, Ozzie Virgil, Sr. who would finish his nine-year career with a .231/.263/.331 slash line. Regardless, here’s hoping they shared a few chuckles about the pitchers they caught while flying model airplanes. Before we had LeBron James wearing a Yankees cap to an Indians game, Wade Boggs and Johnny Damon switching teams and 2004, there was Mike Pagliarulo. Pags—as I call him—was born in Medford, Massachusetts. So, it isn’t shocking that he liked to attend Celtics and Bruins games. 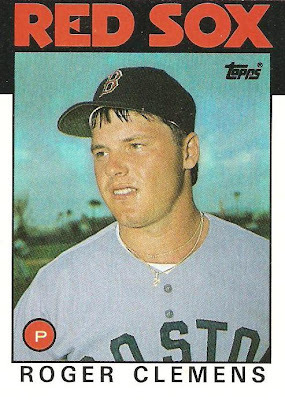 Sure he was drafted by the Yankees in the sixth round in 1981, but that wasn’t enough to sway his love from the Celtics to the Knicks or Bruins to the Rangers – his kids must be ecstatic now as the Celtics are in relatively good shape, especially compared to the Knicks. This card was printed 23 years ago. Times have changed. If this card were printed recently, there’d be a spotsnation chat about it immediately. He’d be booed lustily – by New Yorkers and Bostonians alike. It’d be pretty easy to boo Pagliarulo – he played the majority of his career at third base and posted a .349 slugging percentage. Further, he only got on base at a .277 clip. Frankly, it’s surprising he lasted 11 seasons. What most surprises me: my memory of Pags is of a light hitting utility man, whereas, in reality, he earned his career in the 1986 and 1987 seasons during which he blasted 28 and 32 HRs, respectively. Still, I wish Pags was playing in the early part of 2000 during the epic Boston-New York showdowns – it would have given Tim McCarver and Joe Buck additional things to be incredulous/pompous about.